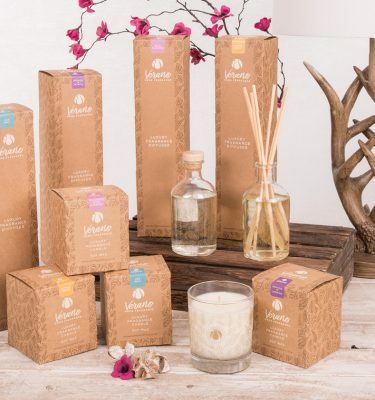 Our Exclusive Verano Home Fragrance Luxury Candles and Diffusers have been lovingly created and hand poured in the UK, to bring stylish, beautiful and unique scents to the home. The natural Soy Wax used in our candles is clean burning, releasing no harmful toxins. “Kinder to the home and kinder to the environment”. 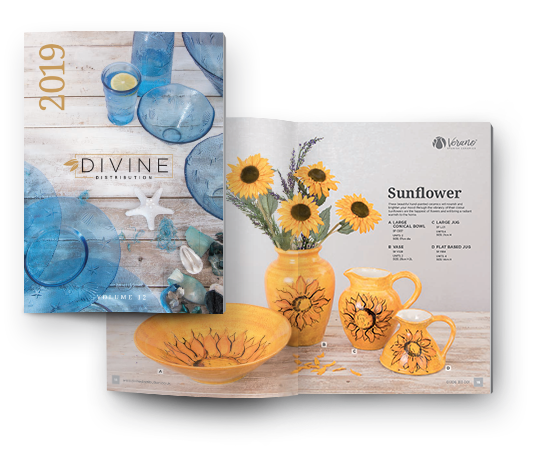 Screen printed with our exclusive design of wild golden leaves which is also embossed into the “craft” decorative gift boxes we are proud to introduce them to you and your customers. 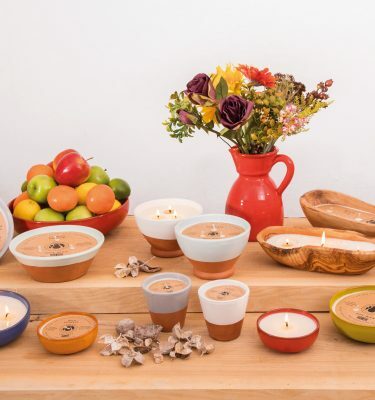 In continuing our ethos to bring beautiful products to you whilst being mindful of the need to help look after the environment as much as possible we have also poured soy wax into some of our most popular ranges of hand dipped ceramics and sustainable olive wood creating re-usable rustic bowls.